The video above can walk your through the steps, but you can take a pan sauce from sickly to silky in just three steps. First, you need to keep simmering, and boil off as much water as possible. 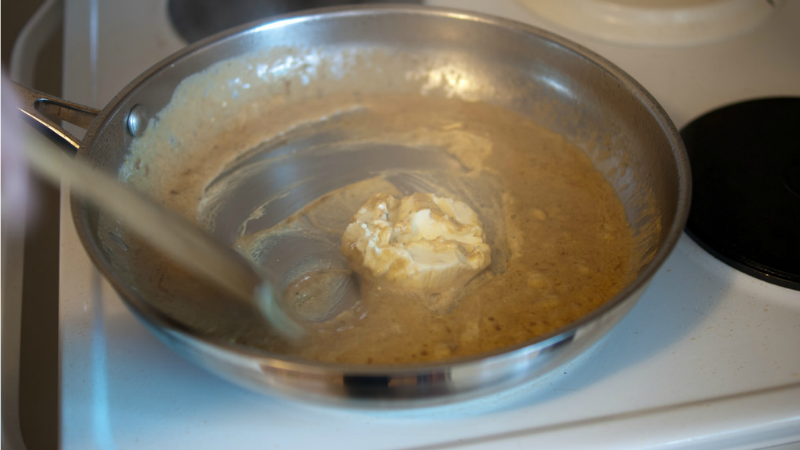 Next, add two or three tablespoons of butter, and stir until melted. Finally, add a cornstarch slurry (equal parts cornstarch and some sort of liquid, such as water, milk or stock). Stir it all together and watch your sauce thicken up before your very eyes.